There are a few t-shirts on my t-shirt site that have been up for a while but haven't been posted on here yet. Consider this the first step to correcting this. 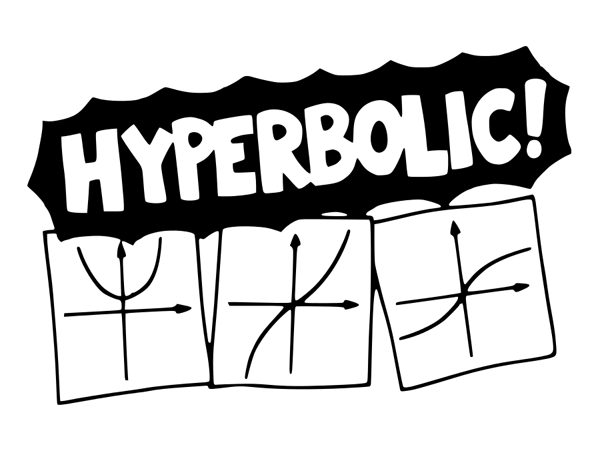 First up, 'Hyperbolic! ', complete with sketches of the hyperbolic sine, cosine and tangent curves. Click for 'Hyperbolic!' t-shirts and accessories!